In Business Since 1949. Thanks, Bronco & Marko. Adhering to the highest standards in the used auto parts industry, we offer high-quality recycled parts nationwide. We are committed to keeping as many automobiles out of landfills as possible through socially responsible recycling of parts and fluids. We are a family-run business dedicated to providing prompt, courteous service and exceptional value to our customers -- both online and in-person. Just outside of Milwaukee, our Waukesha recycled auto parts yard serves both repair shops and individuals. 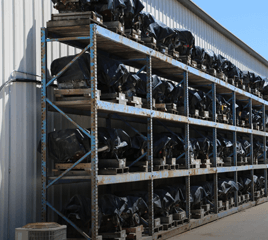 B&M Auto Sales & Parts is a family owned and operated auto recycling facility in Waukesha, Wisconsin committed to supplying quality recycled auto parts at great values. Our customers range from do-it-yourselfers to hobbyists, car collectors and auto repair shops throughout Wisconsin and across the country. We can even accommodate international sales through the magic of the Internet. In addition to a 7,000 sq. ft. warehouse full of high-quality recycled auto parts salvaged from late model vehicles, we are also able to track down recycled auto parts at more than 2,300 auto recyclers across the US through the ADP Hollander Interchange computer system. Whatever you’re looking for, we can find it. As a leader in the Milwaukee used auto parts industry for over 70 years, we pride ourselves on maintaining the highest standards for recycled auto parts. We have achieved Gold Seal certification from the Automotive Recyclers Association (ARA), a process which requires meeting the highest standards across 27 categories and strict adherence to ethical business practices. We also maintain membership in C.A.R.S. of Wisconsin, an organization promoting safe automotive recycling. As a socially responsible member of the auto recycling industry, B&M properly disposes of all hazardous materials and recycles all auto fluids and scrap metals to prevent contamination of our land and water resources. We also offer recycled antifreeze for sale at a tremendous discount to the price of new antifreeze. B&M Auto Sales and Parts has over 650 vehicles on our 7-acre lot, mostly late-model domestic and imported autos and trucks. 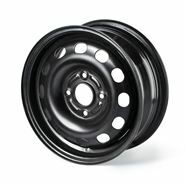 In addition to engine, transmission and body parts, we always have an excellent inventory of wheel covers and wheels. For your peace of mind, all our recycled auto parts are fully inspected and come with our incomparable 90-day warranty. We are not the typical Milwaukee junkyard or Waukesha salvage yard. 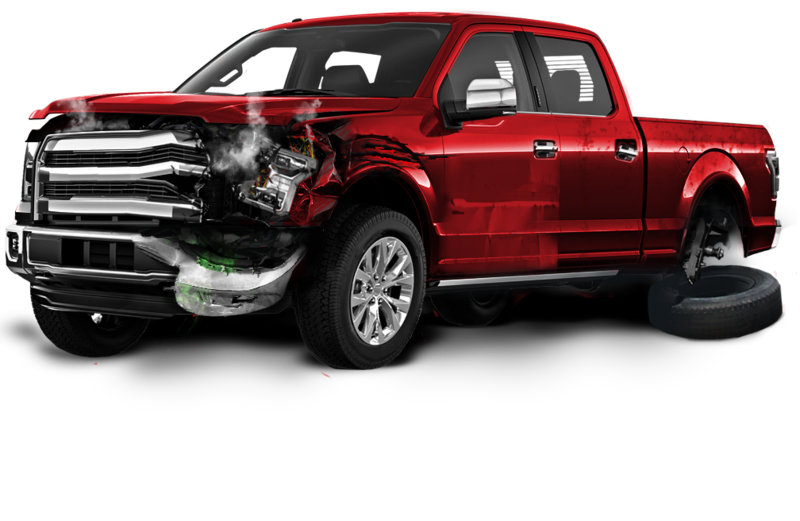 We are a high-quality recycled auto parts company specializing in the salvage of late model cars which insurance companies have deemed irreparable. 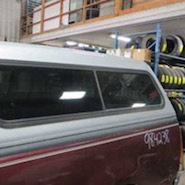 We recover the usable parts on these vehicles and offer them for sale to our Milwaukee area customers, as well as to our online customers across the state and around the country. As a responsible Wisconsin auto parts recycling company, B&M is in full compliance with all State and Federal requirements for environmental safety. Before storing a vehicle on our lot, we drain all hazardous and recyclable fluids and either recycle them or dispose of them properly. Any automotive parts which cannot be used are prepared for shipment to a local scrapyard, their first step on the way toward being recycled. As a Gold Seal Certified member of the Automotive Recyclers Association, B&M Auto Sales and Parts adheres to the highest standards in the industry. 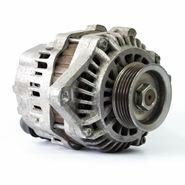 B&M Auto carries alternators and starters for a wide range of domestic and imported vehicles. All the alternators and starters we sell have been tested and are backed by our 90-day warranty. Since we pull these parts from vehicles on our lot, we document how many miles were on the vehicle the alternator or starter was pulled from. In many cases, these parts are pulled from late model vehicles with low mileage. Although insurance companies may deem a car a total loss, there are plenty of perfectly usable parts in them—like alternators and starters. 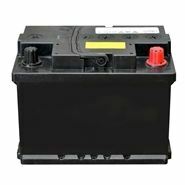 B&M Auto always has a great selection of used batteries for sale. Unlike most used auto parts, batteries have either a sticker or a stamp in the plastic housing identifying when they were made. Since the average service life of a battery is about 6 years, knowing when the battery was made will give you a pretty good idea of how long a used battery will last you. Like all used parts from B&M Auto, our used car batteries are backed by the best warranty in the used auto parts business: a 90-day warranty covering any problems. Unlike “pick ‘n pull” junkyards, you don’t have to scavenge through acres of wrecked cars to find a battery at B&M Auto. Just walk up to the counter in our lobby. We highly recommend calling ahead, or emailing us first, though. If you tell us the make, model and year of your vehicle, we’ll search our inventory and let you know if we have what you need in stock. All for far less than the cost of a new battery. If you drive a late model car, you know how insanely overpriced a new headlight or tail light can be if you go to the Stealership. Prices of $400 to $1,500 are common. Ouch! While there are more affordably priced aftermarket parts, many a driver has found out the hard way that these parts often don’t fit or perform as well as an OEM part. Aftermarket parts just aren't made to the same standards as Original Equipment Manufacturer parts. 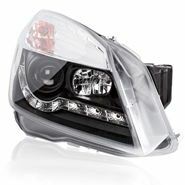 B&M Auto only carries used OEM headlights and tail lights, so you can be assured of a perfect fit. Let us know what you need, either by phone call or email, and we'll check our inventory to see if we have it in stock. If we don't we'll track one down at another auto parts recycler in our nationwide network and have it shipped here. B&M Auto always has a large inventory of used tires at our Waukesha warehouse, and you can always count on a great deal on used tires. Because rubber becomes brittle with exposure to oxygen, many drivers are understandably suspicious of used tires. Most manufacturers only warranty their tires for 5 years, and Michelin advises against using tires more than 10 years old. 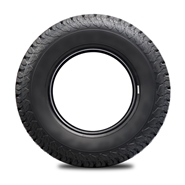 All tires bear a date code indicating the date of manufacture, and we are happy to provide this information on any tire you’re considering. We don’t sell junk tires. If a tire shows obvious signs of improper wear or cracking, we send it straight to the recycling center. Buying a used set of rims is a popular choice for drivers who run snow tires in the winter. With a used rim, you don’t worry about road salt and winter slush wreaking havoc on your nice rims. And you don’t have the hassle of changing out tires every winter and spring. We always have a great selection of used rims at our Waukesha warehouse, so give us a call or send us an email to let us know what you need. We get more calls and email inquiries about used truck caps than anything else—even tires and wheels. With the prices on new truck caps running into the thousands, it’s no wonder so many drivers are looking for a used one. Because truck caps aren’t a one-size-fits-all item, our advice is to contact us (by phone or email) and let us know what you need. 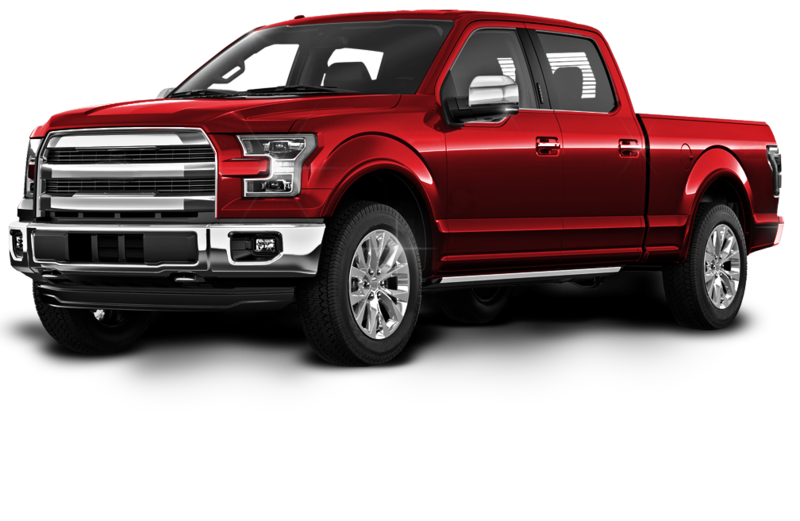 Once we know your specific truck cap specifications, we will search our inventory. If we don’t have what you need in stock, we can often find it at another auto recycler and get it delivered here. Don't spend the money on a new truck cap and get a like new truck cap from your trusted Waukesha auto part supplier today! 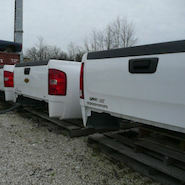 B&M Auto has a great selection of quality used truck beds for sale. We continue to expand our inventory to ensure all of our customers needs are met. With a larger range of makes and models than any other auto shop in the Milwaukee area, you can be rest assured you'll find what you're looking for at B&M Auto Sales and Parts. 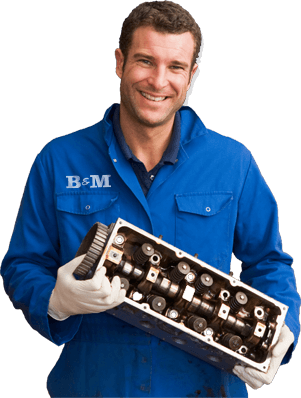 From Toyota to Chevy part needs, you can count on B&M Auto Sales & Parts. And, if we don't have your part instock,we'll find it for you! Experience B&M Auto's Clean and Friendly Environment. recycled cars, trucks and vans on over 7 acres.